It has been a joy to watch the class come together so far this year. Each class has its own “theme” or “personality”. Some groups are massive book makers. Some are avid collectors. This particular group loves to pretend. They are all willing to act out a variety of stories, plots, ideas, and imaginative creations. With this in mind, we have really been enjoying our elephant poem. 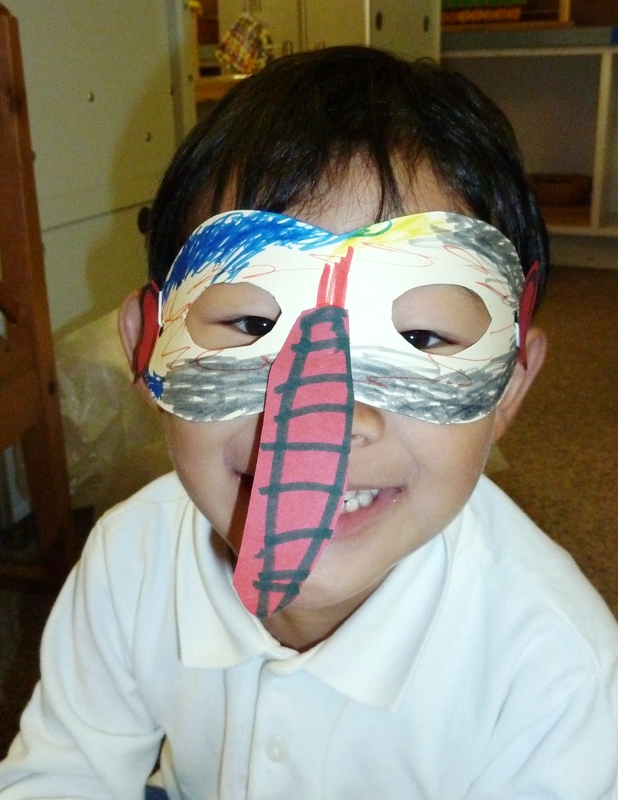 Last week we designed masks so that we could act out the story. Each mask was designed individually, so no two will look alike. While reciting the poem, we took turns joining each other in the spider web and choosing the next “elephant to come”. Their masks are coming home today. If they haven’t already shared the poem with you, ask them about it tonight. ← How Important is Play in Early Childhood?